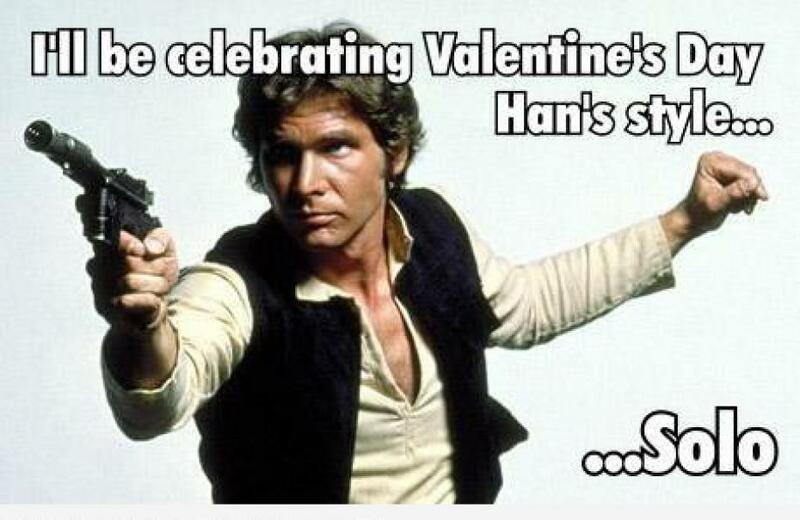 Valentine’s Day can be an annoying, almost offensive, day for the singles amongst us. Because let’s face it: apart from having to spend the day in solitude (all your friends have plans, of course), you also have to deal with the hordes of people hawking roses on the streets and the subsequent looks of pity they throw in your direction. But don’t let that make you bitter and hateful. You know what they say: when you’ve hit rock bottom, there’s nowhere else to go but up. In the mean time, to make you feel better, here are 10 people who are definitely having a harder time than you are. 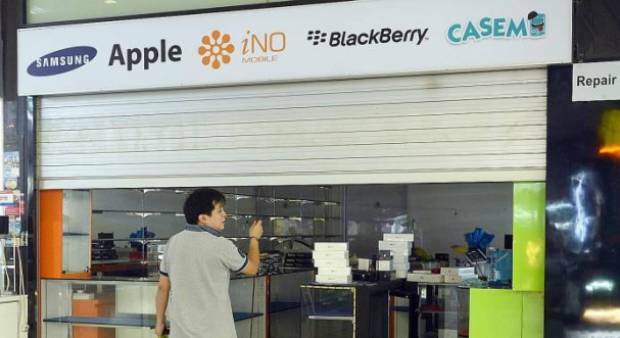 After he got torn apart by the criticisms that netizens sent his way, Chew was photographed sneaking into his shop in Sim Lim Square to gather leftover merchandise. It’s quite the sorry sight, and I wouldn’t wish it upon my worst enemies to have to deal with this amount of embarrassment. Okay, to be fair, the backlash against Chew is not so much bad luck, rather than a case of karmic intervention. But with all the cheating and manipulating he did, you didn’t think he’d get away scot-free, did you? Meet Jason Davis. He’s from Michigan, and is suspected of crimes like vandalism and drug possession, amongst others. When met with a road block, he tried to escape, only to drive himself into a prison parking lot a few moments later. 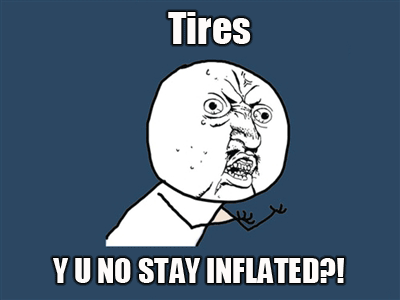 According to the Huffington Post, Davis’ escape vehicle ran over a couple of stop sticks, which deflated his tyres and forced him to pull over soon after. https://www.youtube.com/watch?v=7FI2LY4dk-s This is a pretty perfect turn of events. In a bid to deter repeat sexual harassment offenders, a group of video makers in Peru have struck upon the genius idea to locate the offenders’ mothers — and have them go undercover to trick their sons. First, the mothers get dressed up as younger girls, donning wigs and dresses. They are then asked to walk past their sons along the streets, baiting them to make rude comments and suggestive remarks. When they do, the mothers turn around and hilariously begin to hit them with whatever they have on hand — even handbags. It’s funny — even slightly satisfying, if you’ve ever been the target of such harassment – to see the men try to convince their mothers to let them off the hook. And apart from the comic effect, the video also works as a great piece of social commentary. The phrase “taking an arrow to the knee” originates from a Nordic saying that refers to the act of getting married, but was made popular by a well known game called Skyrim. 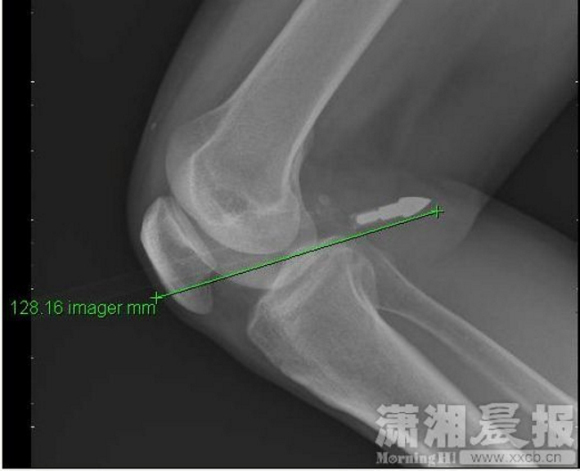 But in a sickening twist of events, a Chinese man known as Mr Wang literally got pierced in the knee by an arrow – while doing the laundry. According to website RocketNews24, the man’s neighbour was getting in a bit of archery practice – in a residential area (why not?) – when he misfired and left the arrow embedded in someone else’s knee. Guess Mr Wang’s neighbour isn’t exactly a crack shot, is he? It’s ironic how — in today’s hyper-connected world where people are more likely to seek out Internet connection than a lack of it — these two men actually managed to get let down by a Wi-Fi signal. 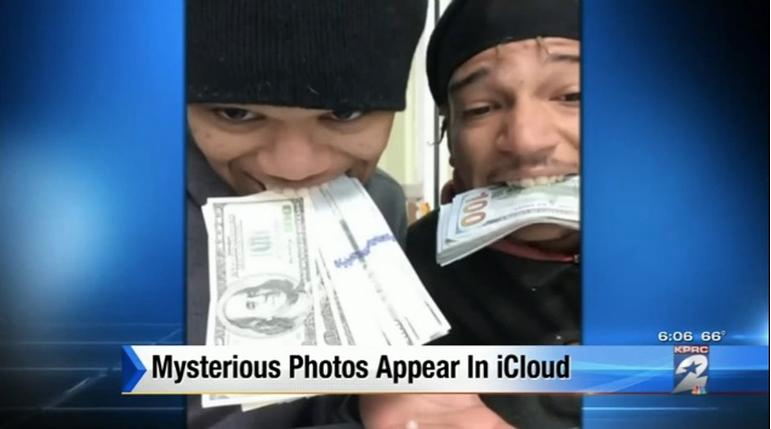 After stealing an iPad and money (amongst other things) from a man’s truck, the thieves, for unknown reasons, found it necessary to snap selfies of themselves — and their loot — using the stolen iPad (don’t ask). It is believed that the iPad later connected to a nearby Starbucks’ Wi-Fi and synced the pictures to the owner’s iCloud account. The owner posted the images online and the authorities were able to identify the thieves thereafter. That’s $600 per cigarette, for the 33 the man threw from his flat window. For the 34th, he was made to do community service for five hours. Apparently, the authorities did not manage to get hold of the culprit even after they organised a stake out, but after installing surveillance cameras, they found their culprit. 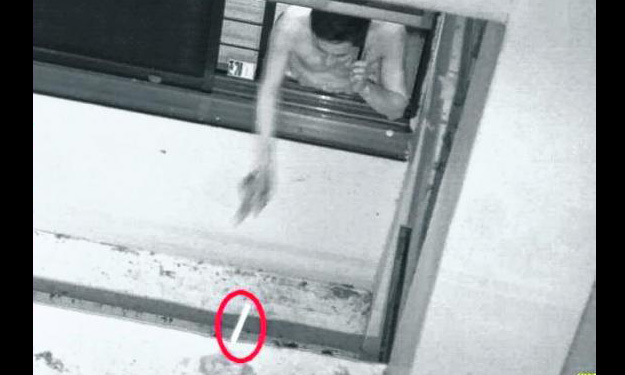 Netizens were also quick to locate CCTV shots of the man, so in addition to the fines and community work, he also gets his photos plastered all over the Internet. 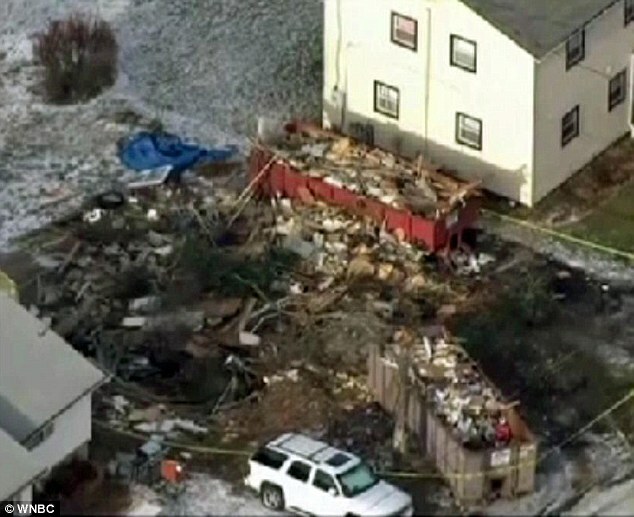 A woman living in New York went home — or at least, she tried to — only to find that her house had been demolished. By her husband, no less. Before the incident, she had apparently jokingly asked if her husband was going to bulldoze their home, to which he’d replied, “Yeah.” She never expected him to carry through with the joke, though, so she was thoroughly surprised when she got home to a non-existent house. She later said that they had not been fighting, and it’s still unclear as to why her husband did such a thing. What do you do when a whale decides to poop on you while you’re out diving? Stay behind and photograph the occasion, of course. 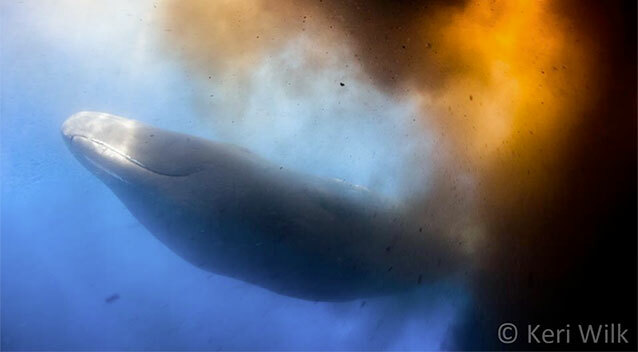 A group of divers were out exploring the Caribbean coast, when a sperm whale decided it couldn’t wait and had to poop. And so it did… all over the unsuspecting divers. It was later reported that the whale likely did it as a defence mechanism, though that doesn’t in any way make this accident any less unfortunate. Meanwhile, a burglar in North Texas got captured by the authorities…when he called the police on himself. 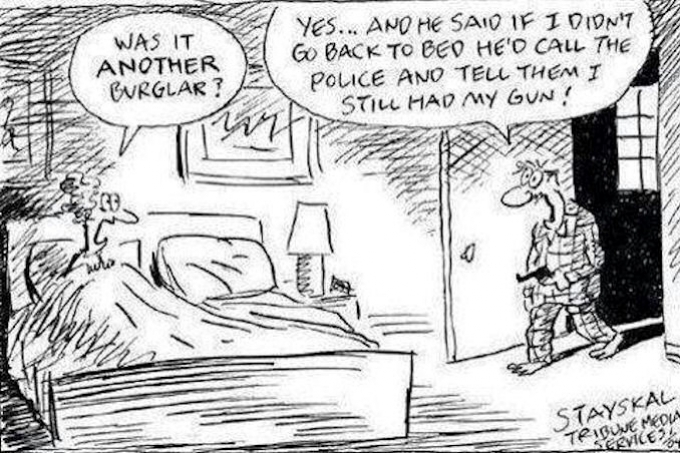 Apparently, the home owners of the house he broke into were armed, and he was so afraid that he ran to his car to alert the cops. To add insult to injury, the burglar not only did not manage to steal a thing, but also faces a $2000 fine and 200 hours of community work. If you need any more convincing that having family members on your social media accounts are recipes for embarrassing incidents, here’s one. 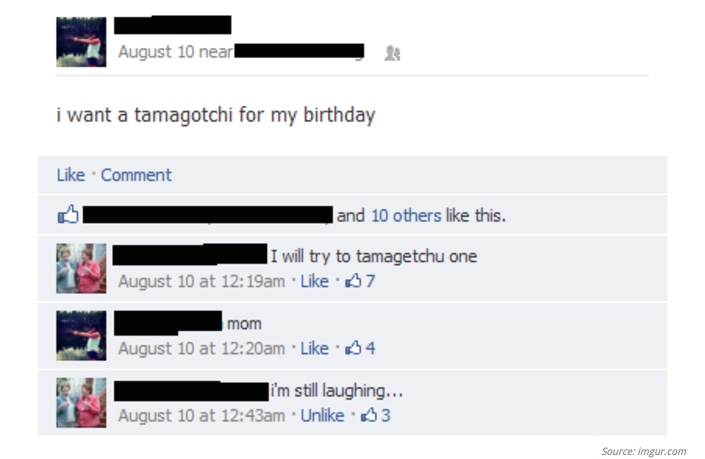 This kid was clearly not impressed with his mother’s attempt at being funny, and I can’t deny it’s always a bit awkward to see parents commenting on their children’s Facebook statuses. It’s ultimately a very sweet gesture from a (slightly geeky) mum, though, so if you’re really out of plans this Valentine’s Day, how about taking some time to send your love to those who matter?